Today a Memorandum of Understanding was signed between Mombasa County Government and Estonian Smart City Cluster. We are looking forward to successful collaboration between the partners in finding the smartest solutions for different challenges in Kenyan cities! 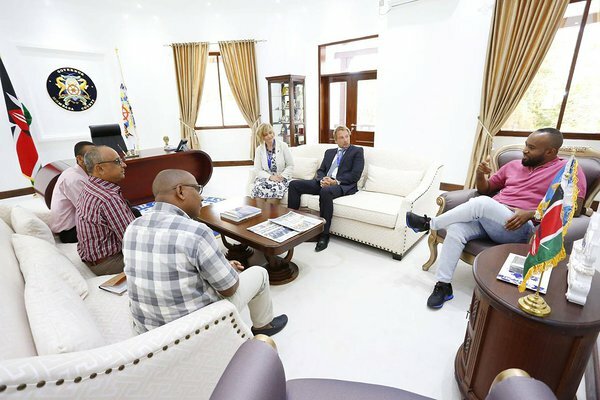 Smart city topics really are important in Kenya - our Honorary Consul Kadri Humal-Ayal is representing Estonian Smart City Cluster and discussing key areas of mutual cooperation in the transformation of Mombasa into a Smart City by utilizing digital tools in crucial sectors including traffic management, smart street lighting and further automation of business processes.